The water damage Franklin unit at 911 Restoration of Virginia Beach is trained to remediate all types of water issues, including sewage overflows, pipe bursts and leaky ceilings. We never want to make you wait for help, so we stay available 24/7/365 in order to be there for you around the clock. Our water damage Franklin techs act fast when it comes to dealing with water-based disasters, so you can depend on us to get to your property within 45 minutes, no matter what time you call. We make a point to always offer same day services, because with all our years of experience we know how much damage moisture can cause when left untreated. 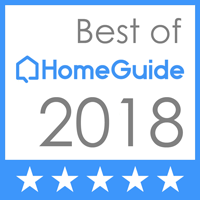 In order to fully understand the extend of the damage we begin each job with a free home inspection, that way both the homeowner and the workers are both on the same page before any work starts. Call our IICRC certified water damage Franklin experts as soon as water invades your property and we will start the process the moment we arrive at your doorstep today! We always want our customers to feel comfortable when our water damage Franklin pros arrive on the scene knowing that we are licensed, bonded and insured to handle any type of water emergency they are called to remediate. We are here to help you out of any situation, and will even assist you in figuring out your insurance policy. It can be confusing to understand exactly what information needs to be submitted in order to get the proper coverage, which is why we are happy to file your claim for you to make everything as easy as possible. Call us when you need comprehensive water damage cleanup services and we will go the extra mile to get your household clean again in no time. 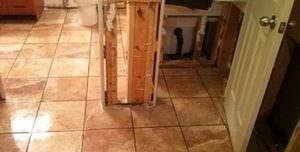 Our water damage Franklin professionals are your one stop shop for all types of water issues, including sewage backups, which are different from other types of water invasions. We know how much damage this type of water, known as black, can cause, and you can count on us to clean it up properly. Whether you are dealing with a spill from a septic tank or a clogged sewer line, homeowners can be sure that our water damage Franklin team will sanitize and decontaminate your household in no time. It is important that you understand how dangerous black water can be, and never attempt to cleanup a mess by yourself. This is why, to keep you and the repairmen safe, we always wear protective gear, including face masks, hazmat suits, goggles, and eyewear. Along with decontaminating the property, our water damage Franklin staff have the cleaning agents needed to get your home smelling fresh again, as if nothing ever happened. 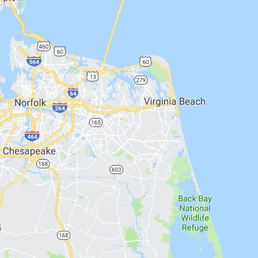 Call our water damage Franklin crew at 911 Restoration of Virginia Beach the moment water floods your property we will make sure you get the most affordable prices on water damage remediation services today!